Well, how is this for irony? George Soros is the main benefactor of the International Consortium of Investigative Journalists (ICIJ), the journalists that are exposing the people in the so-called Panama Papers. His Open Society philanthropy gave the group $1.5 million last year. Now those very same journalists have found their benefactor in an unsavory position within the Panama Papers. Soros is tied to three offshore investment companies: Soros Finance, Inc. incorporated in Panama; Soros Holdings in the British Virgin Islands and Soros Capital, a limited partnership based in Bermuda. The laws of these three countries as well as a number of other "tax havens" allow foreign companies (and very wealthy individuals) to hide cash, real estate, and other assets from tax collectors and securities regulators in the countries where they reside and actually do business. This isn't illegal, but President Obama has called for the tax loophole to be eliminated, reasoning that everyone should pay their fair share of taxes. The Panama Papers reveal that Soros Capital set up an offshore company in the Cayman Islands so that it could invest in the Carlyle Group, alongside members of the Bin Laden family. Ex-heads of state and former CIA officials make up the partners of the Carlyle Group. The private equity partnership deals in buying and selling weapons manufacturing and intelligence gathering companies that have government and military contracts. George Soros has a net worth of $25 billion. 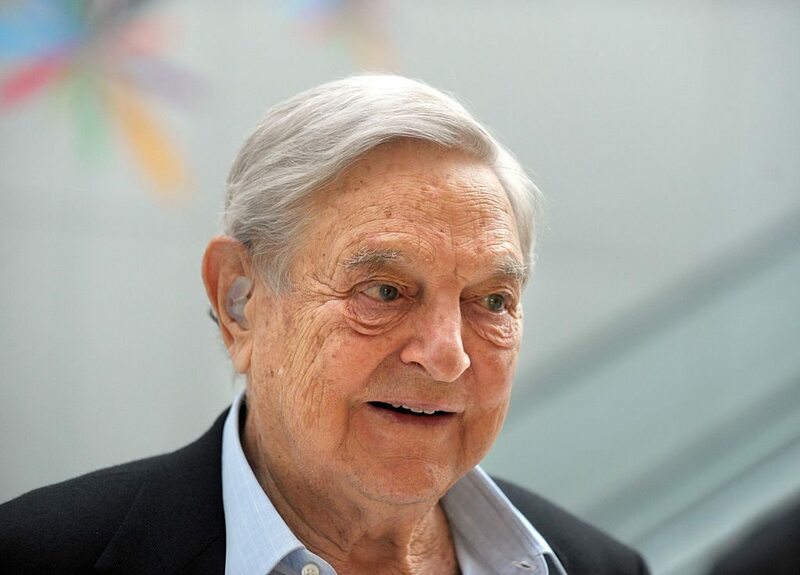 The 86-year-old is the sole proprietor of Soros Fund Management LLC. In July 2011, Soros closed the multi-billion-dollar fund to all but members of his immediate family. This allowed him to escape the Dodd-Frank Act, which required hedge fund managers to disclose investors and conflicts of interest. That seems awfully convenient in retrospect, now that the Panama Papers have revealed his involvement with the Saudi Arabian Bin Laden family and weapons deals. Billionaire George Soros' most recent donation of $18 billion to his Open Society Foundation has made it the second-richest charity in the United States and enraged supporters of the pro-life movement. George Soros has proven his generosity time and again. And now, he's turning his efforts to help end the global migrant and refugee crisis – to the tune of $500 million!